Light the Christ candle. Light only one of the six purple candles. 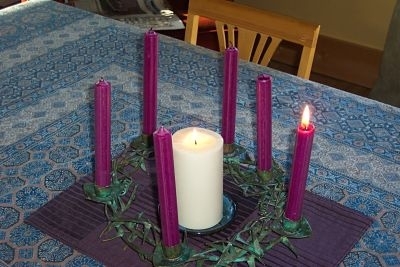 Question: Why do we light only one purple candle? always loved one another as Jesus loves us. Reflect: What does loving each other the way Jesus loves us look like? Where and why have we failed to do this? Pray: Help us to love one another as You have loved us. Amen. Extinguish the one purple candle that is lite. Question: Why do we put out the light from the last purple candle?